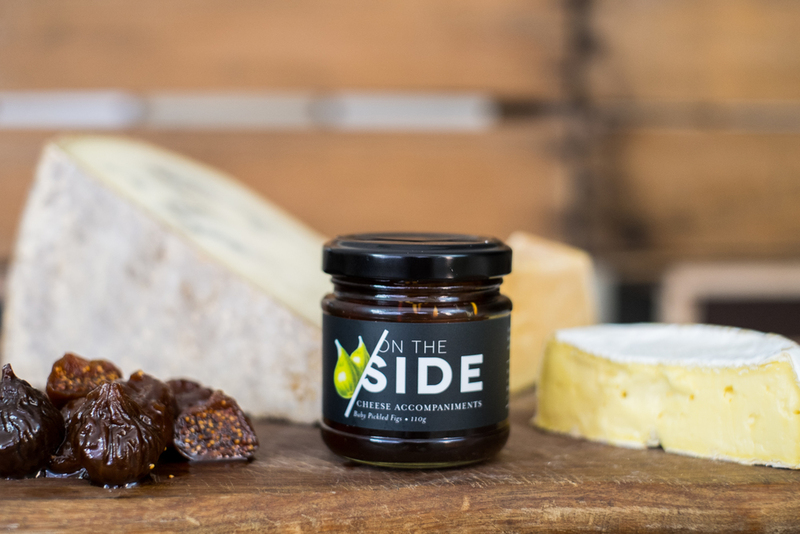 On The Side is an exclusive range of truly delicious cheese accompaniments. Each product in the range is unique, full of substance and specifically designed to heighten the cheese-eating experience. We source the highest quality ingredients, from Australia and overseas, and utilise a small, dedicated team to create the entire preservative-free range by hand. There are currently three products in the range. Tiny Iranian dried figs are pickled in a mixture of brown sugar, Harcourt's apple cider vinegar and fresh thyme to create our Baby Pickled Figs. Bright, vibrant peaches and plump, sun-ripened muscatels are cooked slowly to create our lightly spiced Peach and Muscatel Chutney. Luscious dried Turkish figs are blitzed into a thick decadent paste, sharpened with sherry vinegar and finally spiced with freshly ground Northern Queensland black pepper to create our luxurious Peppered Fig Paste. Available in both retail and food service sizes. If you would like to more about On The Side, please contact us at info@thefoodacademy.com.au.